OK, cultured folks, teach me nuances between Whiskey Sour and Whiskey and Lemonade. Internet recipe seems to boil a Whiskey Sour down to Whiskey, Lemon, something sweet and sometimes a "dash" of egg white. Less water, more flavor, and less fu-fu. This evening at dinner, a couple next to us were drinking Sazeracs and Pimms Cups. "Sweet", I said. "Literally and figuratively, both.". "Why not? It's New Orleans", came the Reply. I asked for an Abita Amber but saw it coming and knew it wasn't. It was cold and hazy, bitter and very citrusy. Good at first but after a while it was just too much; almost like ale mixed with lime juice at abt 70:30 or so. Almost done with it, I finally asked the waiter what he had brought me. With a slightly puzzled look he quickly replied, "Abita Hop-Up". "Where you guys from? ", I asked the guy sipping the Sazerac. "California", he replied. I bit my tongue. He had a nice looking wife I guess, but my wife is prettier. Nice evening. I asked about addition of vodka, and maybe a couple of olives, and he didn't reply, which I took as indication of "mixers privilege". My wife and I had one today, with olive and ice cube and small slice of lime. Not too bad, even without the vodka. I put the "r" in the turmeric. But still no vodka. Still, it's a good cocktail. I mixed up a Brandy Alexander. It really is the perfect nightcap. No man - you don't Google it. You drink it. Viola! I just discovered my newest favorite cocktail! Hey, Pepik -- what do you use for an anisette? Do you keep absinthe on hand? I've been using a VanGogh Absinthe that I received as a gift - not being into absinthe by its self. I'd image there's plenty of options up there in Madison - so if you're interested in exploring the "Green Fairy" I'd recommend Pernod's. Otherwise, St. George, Lucid, Kubler, or Amerique 1912 Absinthe Rouge by Great Lakes Distillery will suit. Now I was at a David Burke's restaurant - and the mixologist on staff had a fantastic twist on the Sazerac: wash the glass with an Islay scotch (one with a high peat content/aroma) instead of absinthe. Now that an awesome combination. I recommend to you the use of Demerara sugar! I've been playing with this. I am using some ouzo from the back of the cabinet for my anisette. I need to find some Peychaud's Bitters... Angostrra for now. First try was with brandy (I have plenty). I bought some Wild Turkey Rye today, for fun. I prefer brandy, in general. The Islay might be really good with the rye, though. I will try it. I made a simple syrup of white sugar. I will whip up some with demerara. My new dietician recommended a drink a day. Really! He wrote it down for my wife and live in Father-in-law. 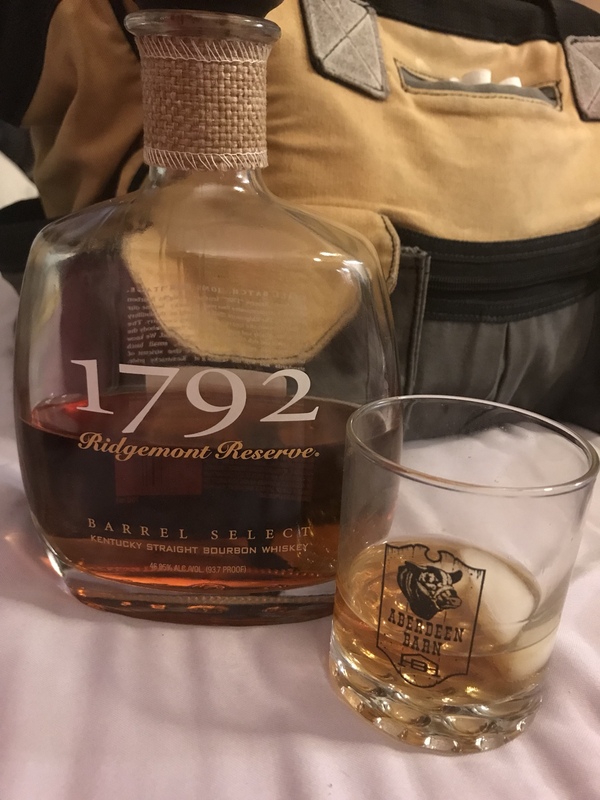 So I found this bourbon I was gifted a while back and am following his advice. I just tried the Islay Sazerac. •	2 ounces rye or bourbon. 1. Put the cherries, orange peel, sugar and bitters in an old-fashioned glass; crush the sugar and cherries with a muddler, spoon or anything else that will get the job done. Fill the glass with ice, add the whiskey and stir until the drink is cold, about a dozen times. I'm late to the reply here. This is my go to. Perhaps too sweet for some, but I enjoy it. mix, and add ice. I usually add a bit more whiskey to taste. I am enjoying a generous measure of McClelland's Islay single-malt scotch over a selection of fine ice cubes. To be honest, McClelland's islay isn't a great whisky. It's cheap and it's tolerable, but that's about it. Okay... this is surprisingly drinkable. Sweet, with a smokey finish. The triple sec is absolutely necessary. AND..... I finally finished that 1.75L jug of McClelland Islay. It took several years. I could never have finished the job without the help of this cocktail recipe. I might even miss it a little... but I've missed gin martinis and brandy manhattans for a long time now. It will be good to enjoy those again. Last evening it was Clan McGregor Scotch on the rocks. Not the best of Scotches but acceptable. Glenlivet 15 or gentlemen Jack neat or with a little ice if it's hot. Currently nursing a Tom Collins with Aviation Gin. My first American style gin. A good gin, but I think I prefer the juniper-forward gins of London dry.